US Bank Gives $5,000 Grant to Support Homebound Seniors! Last Month, Store to Door received a $5000 grant from U.S. Bank to support independent living for home bound seniors—and we even got a giant check to prove it! We are extremely grateful for their support! This month, we caught up with Kristy Haines. 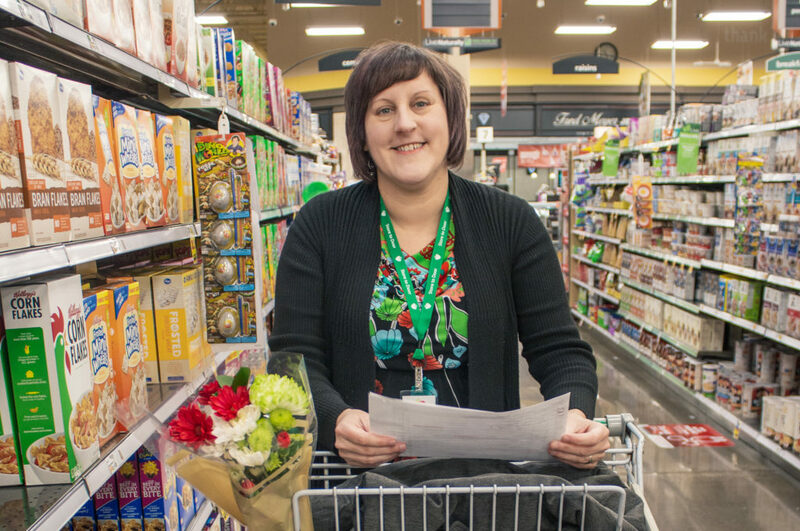 Kristy delivers to clients out of Hollywood Fred Meyer, and has been volunteering with us since 2016! A: I have been volunteering with Store to Door for 2 years now. I am a proud Thursday morning delivery driver! A: Being of service to my endearing customers is the best part of this gig. Getting to know everyone these past two years has been such a joy and blessing. A: This question is a tricky one-but if I had to choose, I would choose something by Donna Summer or Earth, Wind, and Fire. Not that these artists really reflect my inner most self, but if the music was playing while I was out and about in public I can guarantee people would be dancing! A: Give me a good book to read or get in me in the wilderness to hike! Q: Who Is The Most Impressive Famous Person Alive Today? Why? A: Chimamanda Ngozi Adichie-I find her writing and lectures out of this world! I believe her writing to be insightful, inspiring and very thought-provoking. She challenges the norms and gives a voice to people on the margins. Store to Door welcomes new Development Manager Terri Wiley! Store to Door is excited to welcome Terri Wiley, MPA as our new Development Manager! Terri brings over 20 years of fundraising, volunteer management, and nonprofit management experience to her new role. Before joining the Store to Door team, Terri spent several years managing the grants program at The Dougy Center for Grieving Children & Families, as well as various development and communications roles in the past. She holds a Master of Public Administration degree from Portland State University, with a concentration in Nonprofit Management. Terri has been volunteering most of her adult life with various organizations, and currently serves as Vice President of the local chapter of Grant Professionals Association—and she’s volunteered as a shopper with us too! 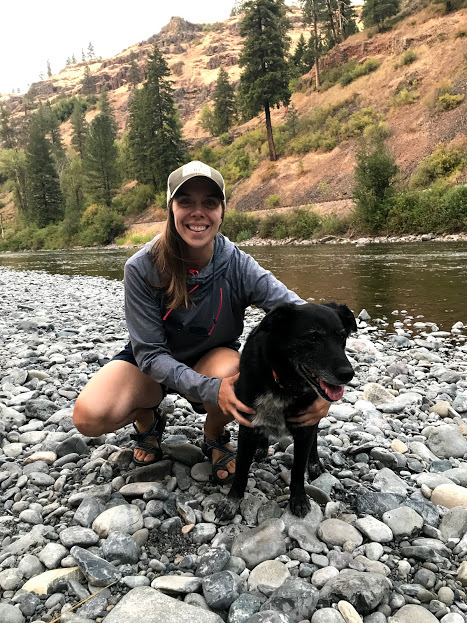 When she’s not working or immersed in all things nonprofit, she enjoys spending time with her family, attending concerts, reading nonfiction, karaoke, and going on nature walks. 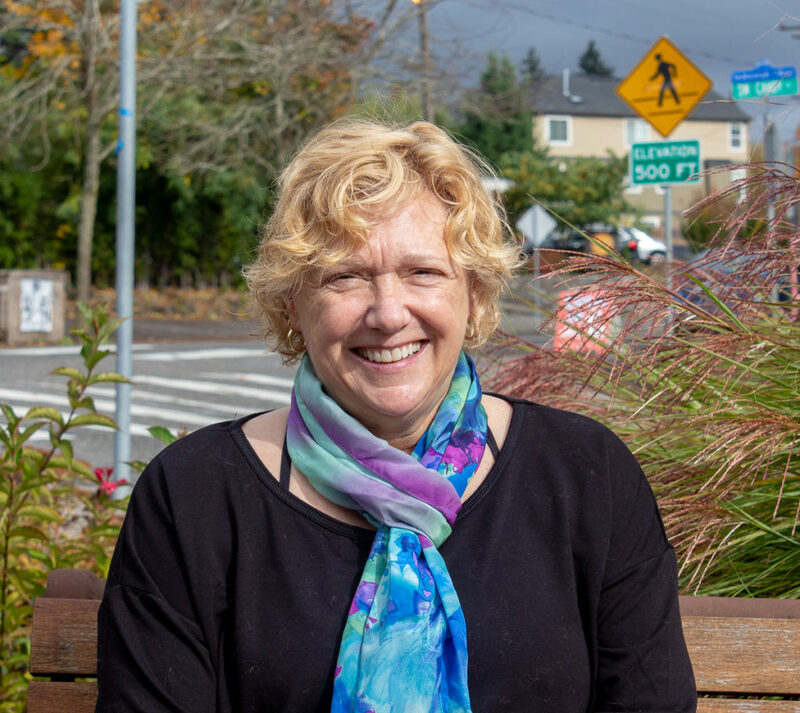 Having worked with many volunteers over the years in her various roles, Terri is grateful for the dedication and commitment of Store to Door’s volunteers who make nourishment, connection, and dignity possible for area seniors and people with disabilities. She looks forward to getting to know Store to Door staff, volunteers, and clients! U.S. Bank Sponsors Day of Groceries for Homebound Seniors! 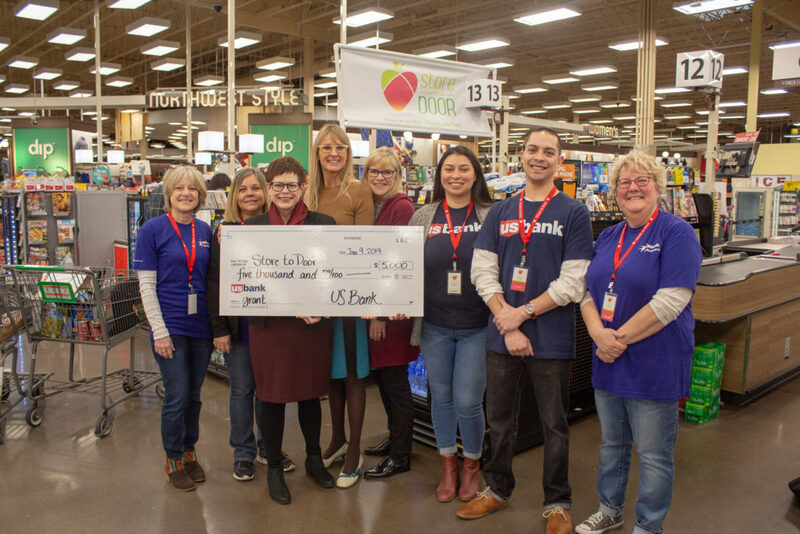 On December 12th, U.S. Bank sponsored a day of grocery delivery costs for 114 homebound seniors and adults with disabilities through Store to Door’s Support-A-Day program. A team of U.S. Bank employees also celebrated by volunteering to grocery shop for Store to Door clients at Hollywood Fred Meyer, along with 25 to 30 other Portland-area volunteers. Other companies who have participated in Store to Door’s Support-A programs this year include Daimler Trucks North America, Bank of America, AWS Elemental, Genentech, Dave’s Killer Bread, First Tech Federal Credit Union, and Wells Fargo. Store to Door’s program is made possible by a close partnership with Fred Meyer. A big thanks to U.S. Bank for their continued support, we are happy to be working together in our shared communities! Store to Door Staff Continue Equity Training! 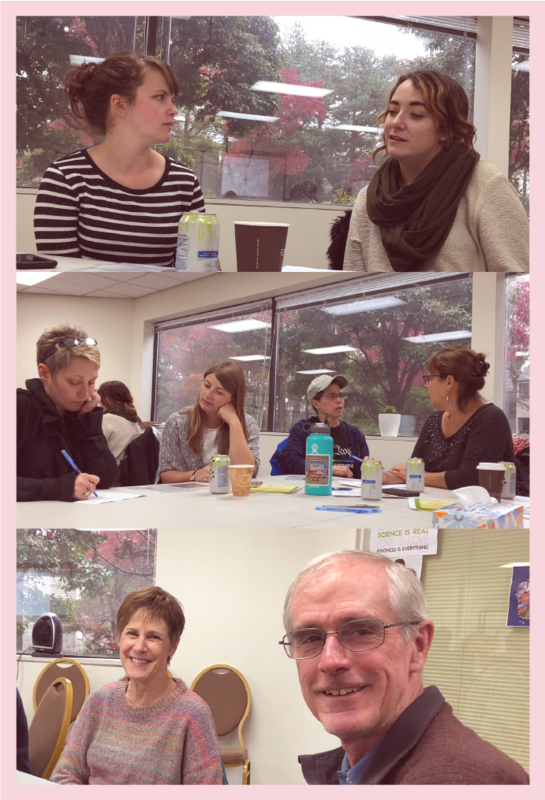 On October 26th, Store to Door staff had a second chance to attend an Equity, Diversity, and Inclusion training held at Portland’s Center for Equity and Inclusion. Our second CEI session was both challenging and rewarding—a great chance for staff to engage with an important facet of our work! We are committed to improving our ability to serve our clients equitably, and to working to serve those clients who need us most! You can read our Equity Statement here! We got to catch up with Carol Haertline, who has been volunteering in the Store to Door office this fall, and get to know her a little bit better! How long have you volunteered with Store to Door? What have you been helping us with? I started as a shopper earlier this year. Then when Store to Door was looking for office support this fall, I stepped in to help in the office. What do you enjoy most about volunteering with Store to Door? I really enjoyed getting my steps in while shopping. And also the scavenger hunt aspect of it. In the office, it’s great to be so busy, to know I’m helping both the customers and staff. Always something new to learn. Oh my so many choices. I think northern Arizona in the mountains in an aspen grove with a light breeze so the leaves quake. The sky is just incredibly blue. Harold and the purple crayon. What an imagination. I would actually love to have one more dinner with my dad. He was a fascinating, thoughtful, introspective man and I’d give a lot to hear his thoughts on the current state of the country. Do you have a hidden talent or a special skill? A good party trick? My weekends are spent teaching people to ride motorcycles. I learned 20 years ago, started teaching 15 years ago. Love of my life. Daimler Trucks North America Sponsors a Week of Grocery Deliveries! 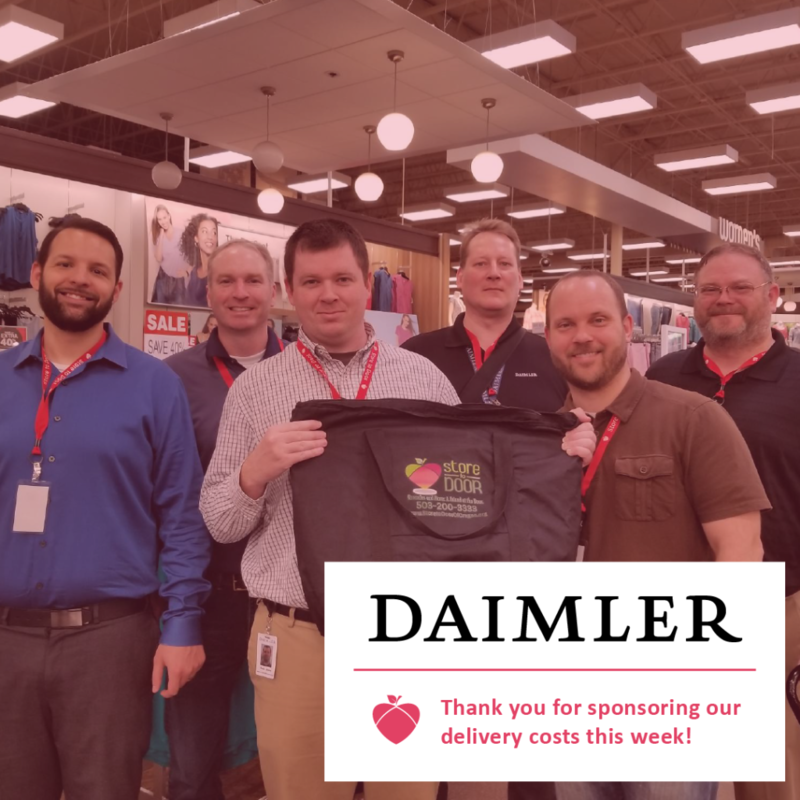 Daimler Trucks North America sponsored a week of grocery delivery costs for approximately 230 homebound seniors and adults with disabilities from October 15th to October 18th through Store to Door’s Support-A-Week program. Several teams of Daimler employees also celebrated the week by volunteering to grocery shop for Store to Door clients, along with 60-75 other Portland-area volunteers. Other companies who have participated in Store to Door’s Support-A programs this year include Bank of America, AWS Elemental, Genentech, Dave’s Killer Bread, First Tech Federal Credit Union, and Wells Fargo. Store to Door’s program is made possible by a close partnership with Fred Meyer. A big thanks to Daimler for their continued support, we are happy to be working together in our shared communities! AWS Elemental sponsored a day of grocery delivery costs for over 115 homebound seniors and adults with disabilities on September 26th, 2018 through Store to Door’s Support-A-Day program. 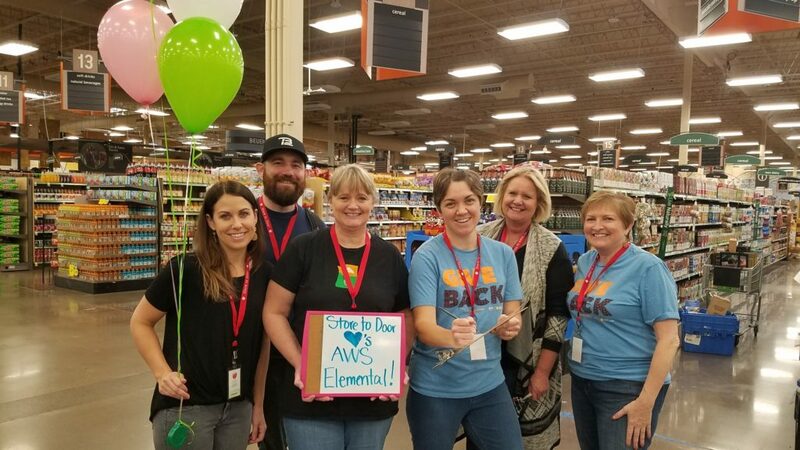 Employees of AWS Elemental doubled down on their support by volunteering to grocery shop for Store to Door clients, along with 50-60 other Portland-area volunteers. The day marked AWS Elemental‘s second Support-A-Day of 2018, and teams of Elemental volunteers have become a welcome fixture in the Store to Door Community! We would like to thank AWS Elemental for their continued support, and we are excited to continue working together! Bank of America Sponsors a Week of Groceries for Homebound Seniors! Bank of America sponsored a week of grocery delivery costs for 228 homebound seniors and adults with disabilities during the week of September 17th through Store to Door’s Support-A-Week program. Employees of Bank of America celebrated the week by volunteering to grocery shop for Store to Door clients as well. Other companies who have sponsored a day or week of grocery deliveries this year include Genentech, Dave’s Killer Bread, First Tech Federal Credit Union, and Wells Fargo. Store to Door’s program is made possible by a close partnership with Fred Meyer. Thank you to Bank of America for their continued support, we can’t wait to keep working together!